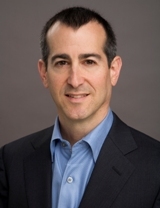 David Shanberg has led communications, Internet, software, and other technology mergers, acquisitions, strategic alliances, venture investments, business development, and finance activities for the past 25 years, completing transactions totaling over $90 billion. He also has a previous 4 years of experience in technology consulting. Prior to forming Baker Pacific, at Cometa Networks, he was responsible for corporate development, strategic business development, and partnerships with telecom carriers and venue providers, including Cometa's deals with Sprint and Toshiba. Before joining Cometa, Shanberg was Vice President of Corporate and Business Development for EarthLink and Senior Vice President of Corporate and Business Development for PeoplePC, where he led the sale of PeoplePC to EarthLink. He held positions of increasing responsibility within SBC Communications Inc. (now AT&T) from 1993 until 2000. Those roles included CFO of Pacific Bell's $4.5 billion consumer division and Director of Corporate Development. Shanberg focused on transactions ranging from venture investments to multi-billion dollar mergers and was instrumental in SBC's acquisition of Ameritech, acquisition of Pacific Telesis, strategic investment in Telkom South Africa, and numerous data and Internet deals. He began his career as a consultant for Accenture and earned an MBA from the Stanford Graduate School of Business and a BA in Computer Science and Management Science from the University of California at San Diego.